2 YRS Hangzhou Howmay Silk Technology Co., Ltd. This is a customize design from our customer, not the wholesale item, we commend to print your own pattern, or you can choose from our own design. 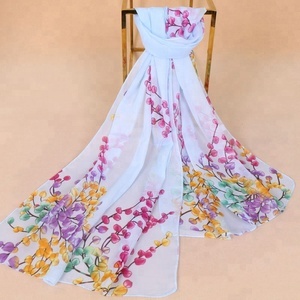 * Cotton voile scarf: digital print, you can print any different pattern. 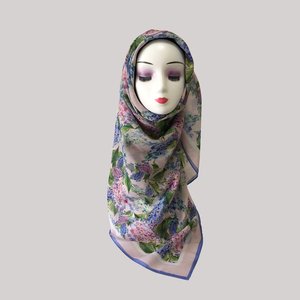 * Fashionable, modest, and privacy * This hijab suit for the muslim women to covers the head and chest, or you can wear in your face, or used for the body covering * Digital printing shows the best colors. 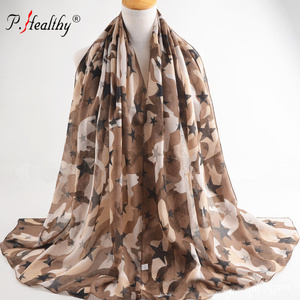 2 YRS Baoding Wei Wan Trade Co., Ltd.
gradient color print viscose scarf long hijab muslim shawl Material: Cotton Fabric Type: Voile Size:180*95cm Weight: 90(g) / Piece Many designs of hijab muslim shawl for your choice, can mix the different designs and colors to order . 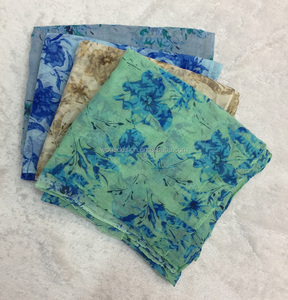 Material Cotton Size 180x95cm Fabric Type Voile Weight About 90g/piece Package Each piece of hijab muslim shawl with a piece of transparent bag, then put into CTN Shipments DHL/EMS/China post mail/other post mail Other service Wholesale, OEM, Custom make Payment methods Western Union, TT, PayPal, Credit Card, Escrow Each piece hijab muslim shawl are made by high level of production team and experienced designers. 1. Material: Cotton 2. Colors: Hundreds of colors and designs of hijab muslim shawl for your choice 3. Quality: Each piece of hijab muslim shawl is tested after production 4. Picture: 100% original picture 5. 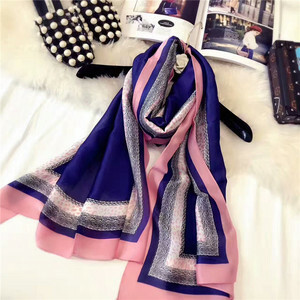 Service: Better after sales service We have been exported hijab muslim shawl to many countries for years, with the experience of shipments, we will provide you a good shopping environment and solution. 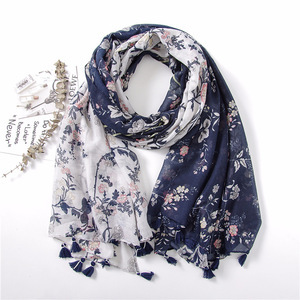 2 YRS Ningbo Joyancy International Trade Co., Ltd.
,Ltd is a professional manufacturer and exporter of fashion accessories. Our factory has passed Social Audit. All products can be passed AZO Free and Low-Cadmium. 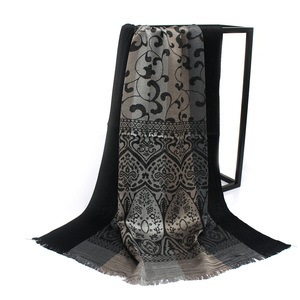 Alibaba.com offers 9,637 printed hijab shawl products. About 67% of these are other scarves & shawls, 13% are silk scarves, and 1% are knitted scarves. 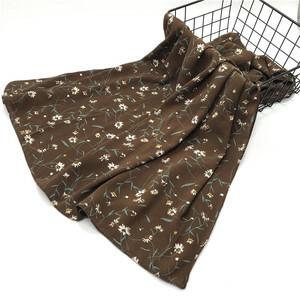 A wide variety of printed hijab shawl options are available to you, such as long, medium, and square. You can also choose from yarn dyed, printed. As well as from plain, jacquard. And whether printed hijab shawl is free samples, or paid samples. 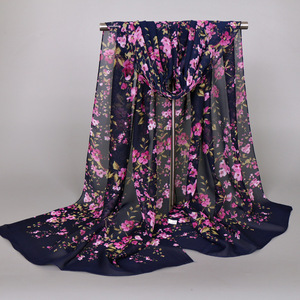 There are 9,637 printed hijab shawl suppliers, mainly located in Asia. The top supplying country is China (Mainland), which supply 100% of printed hijab shawl respectively. 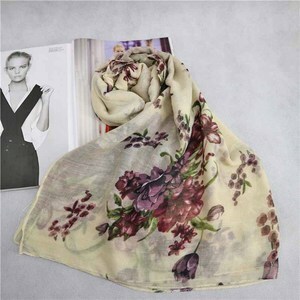 Printed hijab shawl products are most popular in North America, Western Europe, and Eastern Europe. You can ensure product safety by selecting from certified suppliers, including 492 with Other, 114 with BSCI, and 86 with ISO9001 certification.